Why not make the effort to buy British made Easter Eggs this Easter? 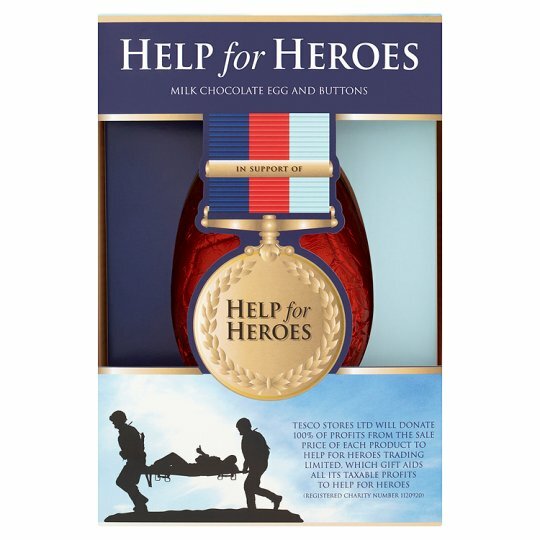 Tesco Help For Heroes Egg 187G. Made in the UK. Over 80 million chocolate Easter Eggs are sold each year in the UK. This year check the packaging and make sure to choose an Easter Egg that is actually made in the UK (from British made chocolate and using British made packaging). From Thorntons to Fortnum and Mason to the Meaningful Chocolate Company to Moo Free to your local Sainsbury or Tesco or Marks and Spencer or corner shop it should be easy enough to find a British made Easter Egg. Buy British this Easter. This entry was posted in Chocolate, Confectionary, Easter Eggs, Food and Drink, Sainsbury's, Sweets and tagged British Chocolate, British made Easter eggs, Buy British, Easter Eggs, Easter Eggs made in the UK, Fortnum and Mason, Marks and Spencer, Meaningful Chocolate Company, Moo Free, Sainsbury, Tesco, Thorntons, UK Made, UK Made Easter Eggs, ukmade on February 24, 2016 by ukmade. Over 80 million chocolate Easter eggs are sold each year in the UK. This year check the packaging and make sure to choose an Easter Egg that is actually made in the UK (from British made chocolate and using British made packaging). 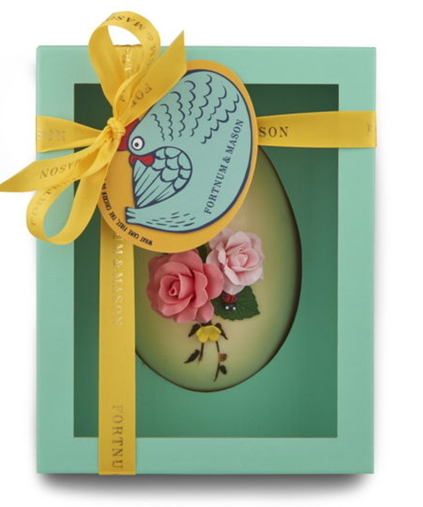 From Thorntons to Fortnum and Mason to The Meaningful Chocolate Company to your local supermarket or corner shop it should be easy enough to find a British made Easter Egg. Buy British this Easter. Much of the chocolate and confectionery sold that used to be made in Britain is now actually foreign made, so shop with care and choose British made. 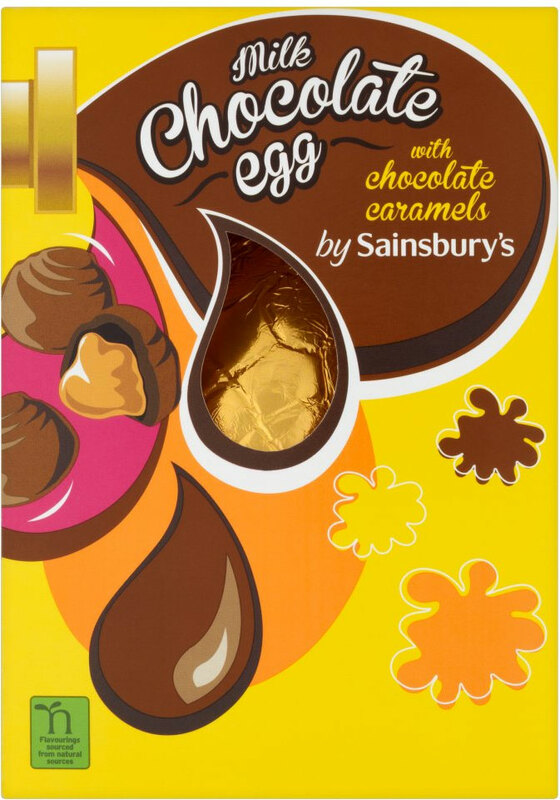 Sainsbury’s Milk Chocolate Easter Egg with Chocolate Caramels 155g. Made in the UK. This entry was posted in Chocolate, Confectionary, Easter Eggs, Food and Drink, Sweets and tagged British, British Chocolate, British Made Chocolate, British made Easter eggs, Buy British made chocolate, chocolate Easter eggs, Chocolate made in the UK, Easter, Easter Egg, Easter Eggs made in UK, Fortnum and Mason, Sainsbury's, UK, UK made chocolate, UK Made Easter Eggs on March 19, 2015 by ukmade.